Our Spring Screenings programme for LGBT History month, aiming to celebrate and introduce young audiences to LGBTQ+ titles that have historical significance, has officially begun. To mark such an important and exciting series of screenings, teacher and regular Into Film contributor Grace Eardley below writes on two films from the line up that stand out for her - Tomboy and Pride. Ever-passionate about film, Grace delves into each of their themes as well as advising how educators can use these titles to engage students in a variety of essential topics and discussions. If asked to think back to your own school experiences and happy memories of education, I'm sure many teachers and film club leaders would agree that it's the experiences outside the classroom that are most fondly cherished and beneficial. However, in a practical world it may be a little extravagant to expect to take groups outside the classroom on a permanent basis. Luckily, then, the Into Film Spring Screenings are here, featuring carefully selected titles suitable for a range of groups and are totally free. This year the screenings are linked towards LGBT History month, to mark the 50th anniversary of the seminal Stonewall riots. In this short piece I have chosen two standout titles that I believe young people will benefit from seeing, if not at a screening, then via the Into Film catalogue. Both titles - Tomboy (2011) and Pride (2014) - contain multiple features your groups will love, as well as the added bonus of more discreetly approaching themes and issues that are often a little trickier to approach in a traditional classroom context. Individual film guides are available to download for all of the films being screened by Into Film, and there is also a wealth of further information on the Into Film LGBTQ+ theme page, including film lists and contextualised editorial pieces. Tomboy (2011) is a bit of an overlooked gem in French cinema. Within its short 84 minutes, the film deftly manages to approach a broad scope of themes; ranging from gender identity to family, friendship, relocation, acceptance and tolerance. The film tells the story of Laure, a 10 year old, who begins presenting themselves as a boy named Mikhael when their family moves to a new neighbourhood. From a teaching standpoint, one standout feature of Tomboy is the naturalism on display and the understated performances of the two young sisters at the heart of the story. The paired-down performances give the characters depth and sense of universal relatability for young audiences and will allow adults to open up a more open dialogue with learners when concerning the trickier and more complex subjects explored here. The way in which the sisters relate to each other and their untainted support and friendship for each other is both moving and often comic. The younger sister, Lisa, is particularly charming and funny and will certainly bring a smile to young audiences faces. Another point to note is the film's minimalism, specifically the lack of dialogue, which allows the grammar of the film to speak for itself. This makes the film easily accessible and approachable for younger audiences and those who may be initially dismissive of foreign language film due to subtitles. 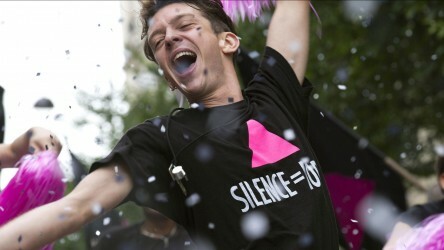 Although all young audiences may not be affected directly by Laure's story of acceptance and gender identity, they will certainly be able to relate to their experiences of bullying, friendship and family, and through watching the film, teachers will have a great opportunity for further explorations and discussions. The second title, Pride, is geared to an older audience. This remarkably hopeful and historically accurate story traces the struggles and unifying bond created when two marginalised groups collaborated to tackle a common enemy. Set amidst Thatcherism and the miners' strike in the summer of 1984, a group of gay and lesbian activists unify with miners from a small Welsh town, providing solidarity at a time when both groups were being viciously targeted in the media and in much of society at large. This film and the accompanying talks and resources may be of particular interest to History groups studying Thatcherism and its social impact, which is a common topic on many syllabuses. The accuracy of the history is quite remarkable; screenwriter Stephen Beresford, painstakingly researched the lives and experiences of the two groups to form his screenplay. The sharp dialogue is certainly a highlight that I imagine teenage audiences will appreciate. Snappy one liners are a-plenty and each character seems to have a layer of affectionate humour as well as a sensitive backstory. For example Dominic West's unapologetically flamboyant, disco dancing Jonathan manages that often difficult balance between humour and pathos. While he delivers a lot of the humour, Jonathan is based on Jonathan Blake, one of the first people in the world to be diagnosed with HIV, and who continues to campaign for equality for all to this day. The film also features a wonderful leading male in the character of Joe - affectionately referred to as ‘Bromley' due to his roots in the London borough. His personal growth and journey to self-acceptance is one I can imagine many sixth form students and GCSE age students relating closely to. Despite being set over 30 years ago, Pride has a great sense of urgency and energy that sends really positive messages of hope and optimism to audiences in 2019. 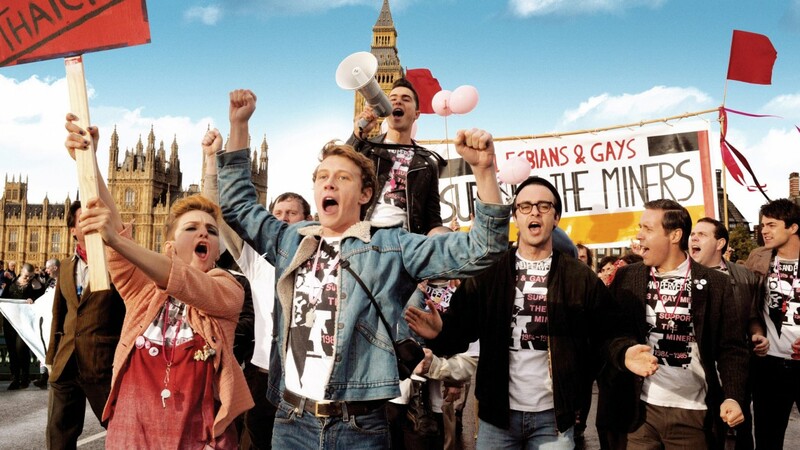 Uplifting comedy about an unlikely moment in recent British history, when in 1984, gay rights activists offered to support the striking miners. So they there are. Two titles to get your groups engaged, talking and thinking during LGBT History month and beyond. Into Film's Spring Screenings continue across the UK throughout February - book your free places for Tomboy, Pride and a range of other LGBTQ+ titles now. Grace is a film and media studies specialist and has run very successful film clubs since 2012. In 2014 she was nominated for the TES Inspirational Teacher of the Year. She works for exam boards and writes film and media resources.